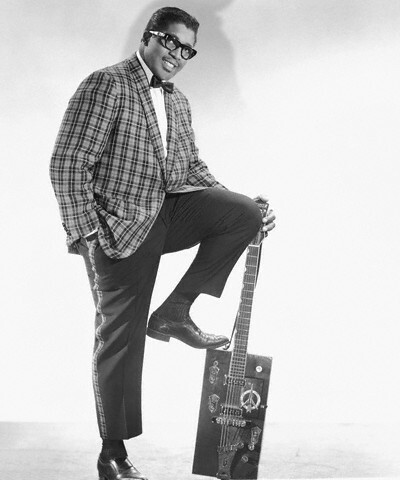 Bo Diddley and his signature Gretsch guitar --late 1950s. 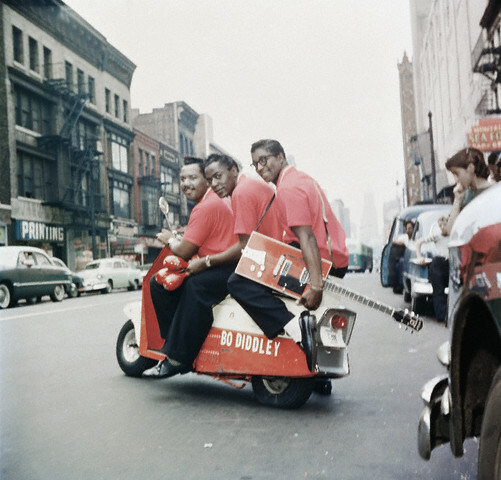 Jerome Green in the center, Bo Diddley on the rear of the scooter --1959. 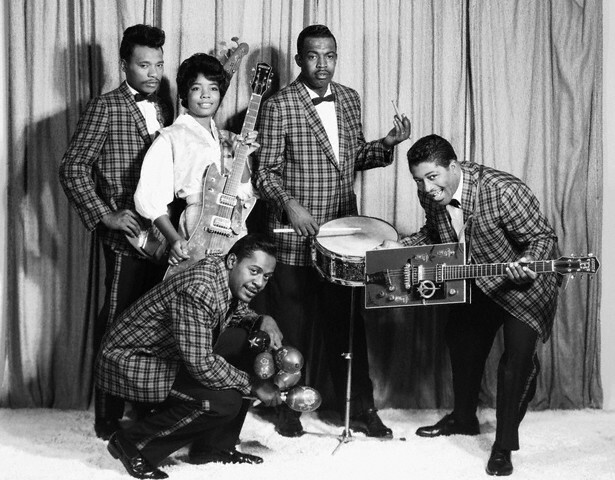 Norma-Jean "The Duchess" Wofford in white blouse, Jerome Green squatting in front with maraca, and Bo Diddley with his signature Gretsch guitar --late 1950s. 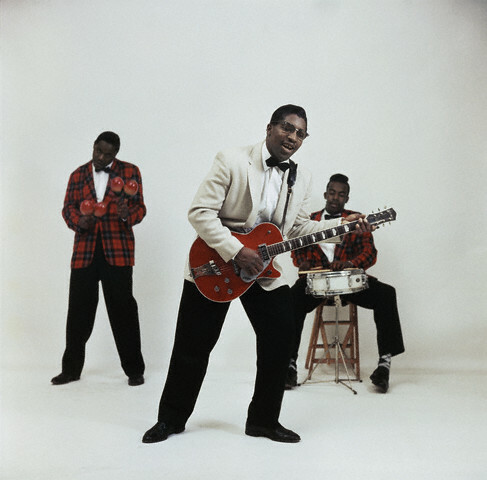 Bo Diddley on a Gretsch guitar --late 1950s. I’ve always been a fan of Bo. Great photos. I hope you had a cool weekend. 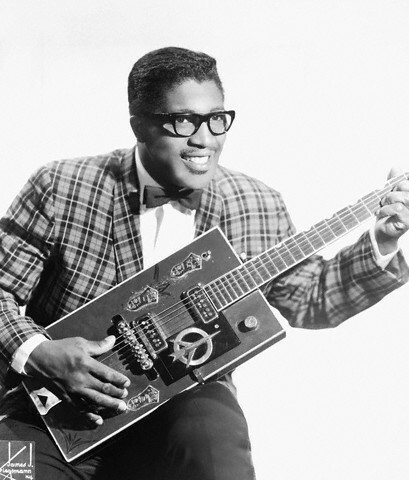 A real original, and a great talent. I always laugh when I remember him in “Trading Places”. Dan Aykroyd tries to sell him this expensive watch, telling him all the features, and Bo says “In Philadelphia it’s worth fifty bucks.” End of story. been trawling through your posts… love it all.. the quotes, the images – fantastic! thank you! 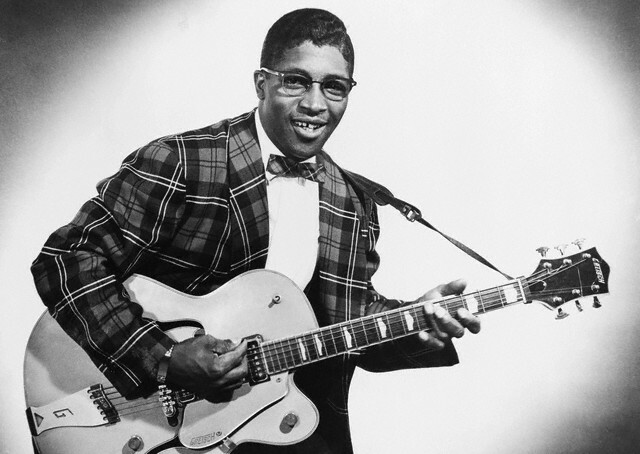 Had the opportunity to see him live in 2003 and he played that Gretsch. So amazing. The picture under the “round of applause” quote. The drummer’s wearing argyle socks with that killing plaid tux jacket. We can’t even talk about his pompadour. Killer. The next picture down. 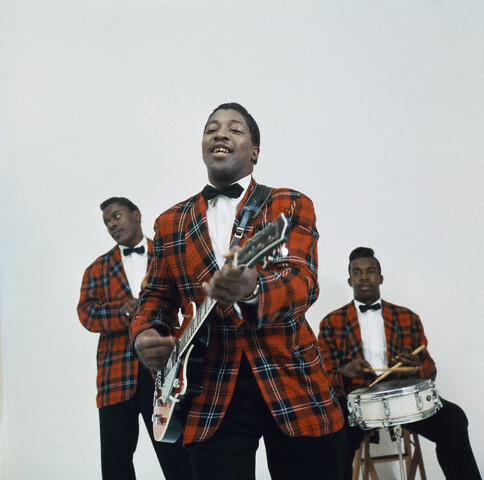 Bo’s tux pants have a plaid stripe to match the jacket. Indescribable.